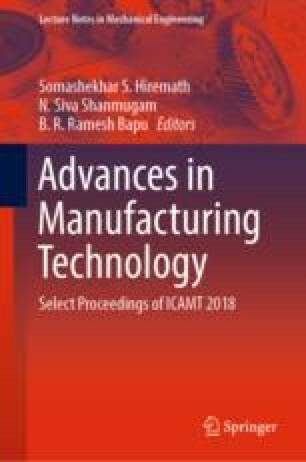 In this study, an attempt has been made to examine the influence of sintering temperature on the microstructure and forming behavior of AA8079 synthesized through powder metallurgy route. The AA8079 powders were milled using high-energy ball mill. The green compacts were prepared using suitable punch and die by applying a compaction pressure of 400 MPa using hydraulic press. The green compacts were sintered at three different temperatures 400, 500, and 600 °C. The sintering was done with the aid of electric muffle furnace under the controlled atmosphere. The sintered samples were subjected to microstructure analysis by using a scanning electron microscope (SEM). The cold upset tests were conducted in stages of 10 kN and the true axial stress, the true hoop stress, the true hydrostatic stress, and the true effective stresses were identified, and their behavior besides the true axial strain was systematically investigated.